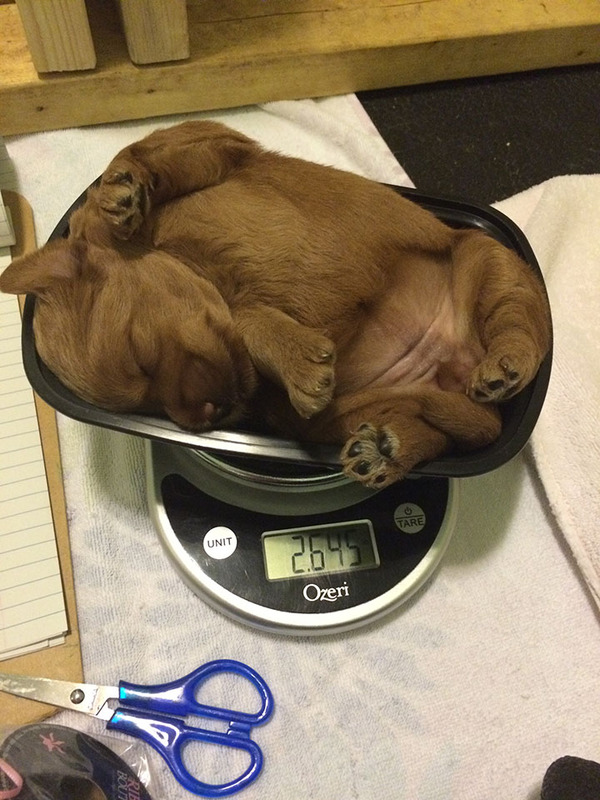 This little cutie is getting weighed. The father, Opie, is an AKC registered Miniature Poodle and the mother, Penelope, is an AKC registered Yellow English Labrador Retriever. Together they produced 8 pups, five girls and three boys. We have eight Purebred Miniature Labradoodle pups - the mother a Yellow English Labrador Retriever named Penelope and the Father a Miniature Poodle named Opie.